A personal altar. Photo by Gabriela Ramírez Càliz / Flickr. 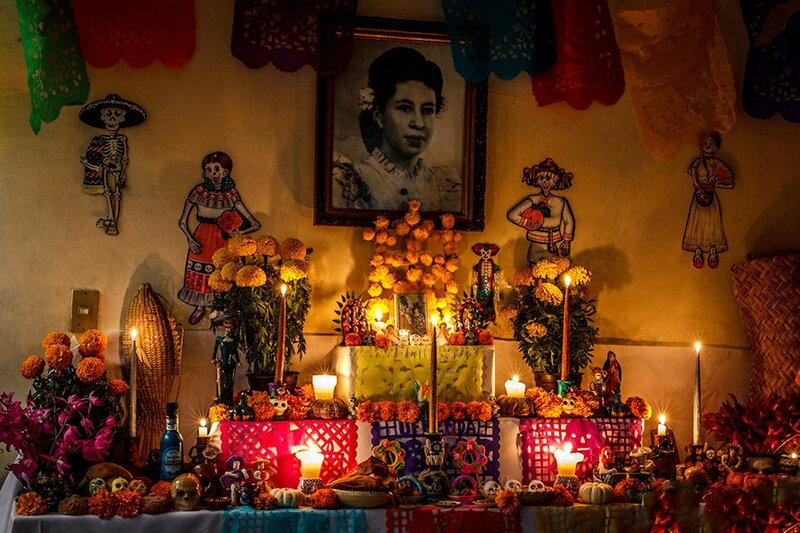 It is always hard to lose someone, but Mexican holiday Día de Muertos allows us to feel closer to the dearly departed. For Fathom intern and Mexican native Helena Madrid, the death of her grandfather rekindled her desire to participate in the beautiful tradition. This year has been one of the best in my life — I moved to New York, got an internship at a cool travel website, and got a taste of what I want to achieve next. But this has also been one of the worst — I lost my grandfather, who was like a father to me, intensifying my (already very real) sense of loneliness. He was a man I respected as strong, sage, and loving. The kind of man who would sacrifice his own desires to help others. I never met anyone so determined to provoke change, awake the people, and revolt against injustice. He was a revolutionary — I don’t think there is a better word to describe him. My grandfather involved himself with social movements at a young age, founding the Freemasonry Gran Logia Emancipadores de Puebla Benito Juárez, where he held the title of Grand Master. He loved Mexico, so it seemed fitting that he was born on Mexican Flag Day. Even more so that he died on Cinco de Mayo. I’ve always loved the holiday. It was a time to hang out with my grandmother and cousins, picking flowers, cooking favorite meals in honor of our dead, decorating altars, the whole shebang. My grandmother, like many abuelas, was fervent about Día de Muertos. She was a strong and resourceful woman, but she always longed for those whom she lost. She led the charge on the family celebration, but I moved north to Monterrey after she died, putting an end to my involvement in the yearly ritual. 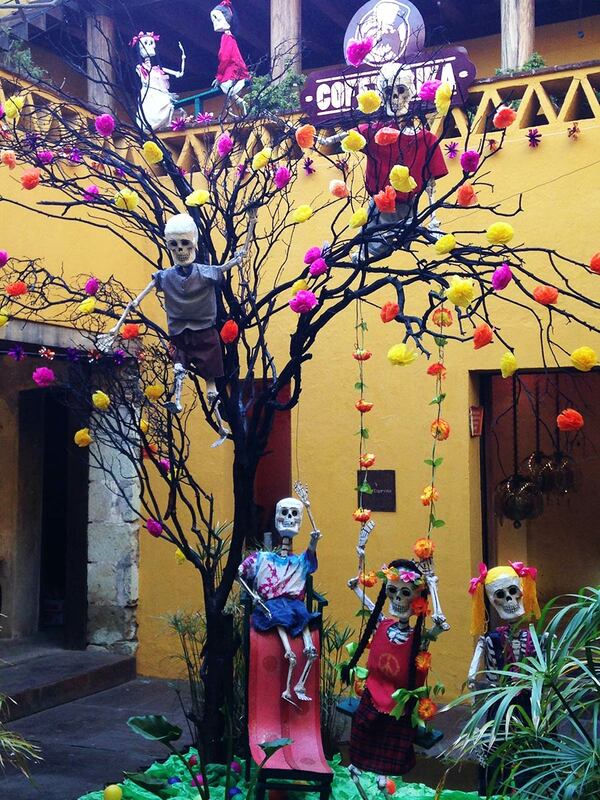 Mexican culture teaches us not to shy away from death, but to embrace the inevitability of the end. The holiday is a chance to focus on a life well lived. It is a carpe diem kind of celebration. I don’t mean we don’t mourn, but we take a humorous, celebratory approach. We cheat Death every day that we are alive. My parents divorced when I was a baby, and it was my grandfather who attended my school concerts and reprimanded me when I behaved badly. I saw and talked to him nearly every day. He was incredibly intelligent and always open for a conversation. He taught me about curiosity, passion, and sacrifice. To live by example and to get back at my enemies with good work and kindness. He was not perfect, but even if people didn’t agree with his views, he earned their respect. It completely broke my heart losing him, especially since I was so far away and unable to attend his funeral. In a way, his death has made some things much more clear to me. I feel a responsibility to succeed in New York to justify the pain of his loss, almost as if I owe it to him and his memory. On days when I feel particularly numb, I long for Mexican traditions to make me feel closer to him. 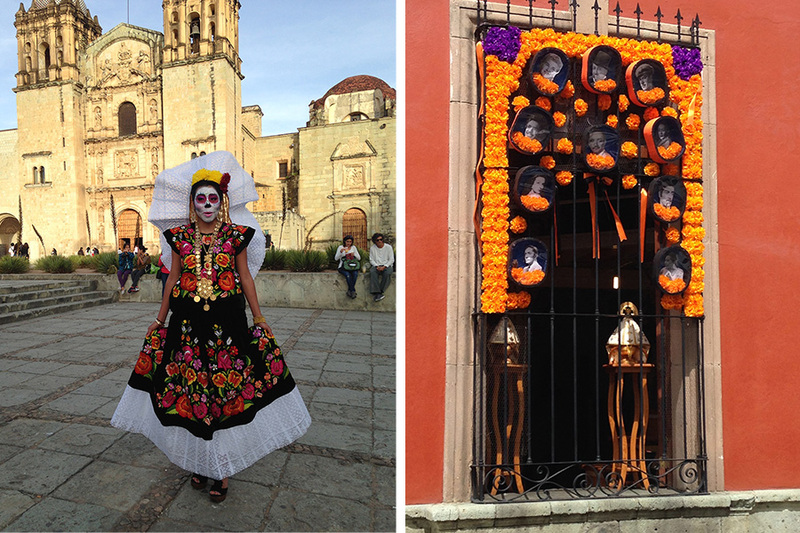 I can't be in Mexico for Día de Muertos this year, and that's okay. I’m still processing the loss of my grandpa, and I will set up my own simplified version of an altar in NYC. The day of remembrance is also one of reflection. I might not get the life that I pictured for myself, but I can have a life that matters and inspires others. I’ll continue living passionately, remembering the ones whose memories fill my heart with something very close to magic. In the meantime, I encourage you to explore the holiday, confront the loss in your life, dedicate a day to joyful memories, and, most importantly, to allow yourself to feel. 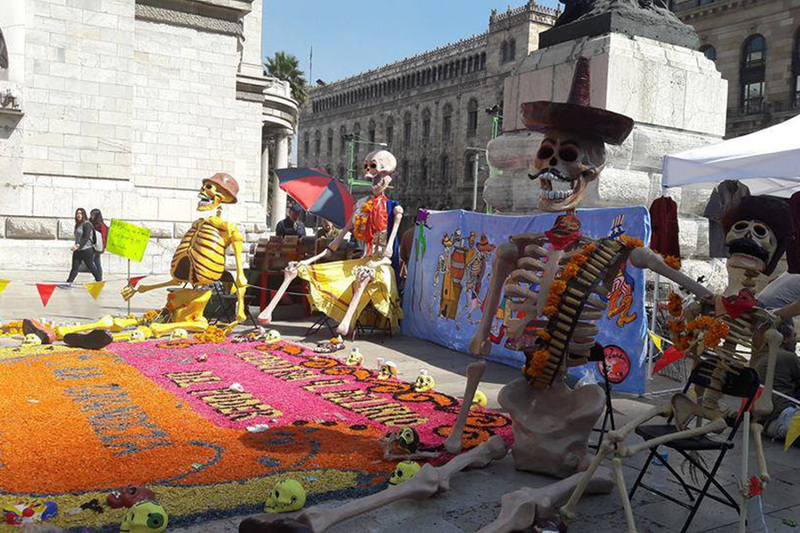 Every year Mexico City is filled with the craziest decorations. Photo by Lilia Acevedo Porras. A woman dressed as Death and decorations for famous Mexican actors. Photos by Doris Josefina Acevedo Porras. The vignettes are creative and fun.